Success! Eh from Burma raised $1,500 to fund eye surgery. Eh's treatment was fully funded on May 1, 2018. Before his surgeries, Eh’s vision was very poor—he was nearly blind, which impaired his ability to play and develop normally. He rarely smiled or laughed, and he cried often. Now, Eh is happy, able to play with other children, and much more active. Eh is a one-year-old boy from Burma. He lives with his mother, father, and grandmother. His parents work as farmers on a villager’s farm, and receive a share of the crop as payment. 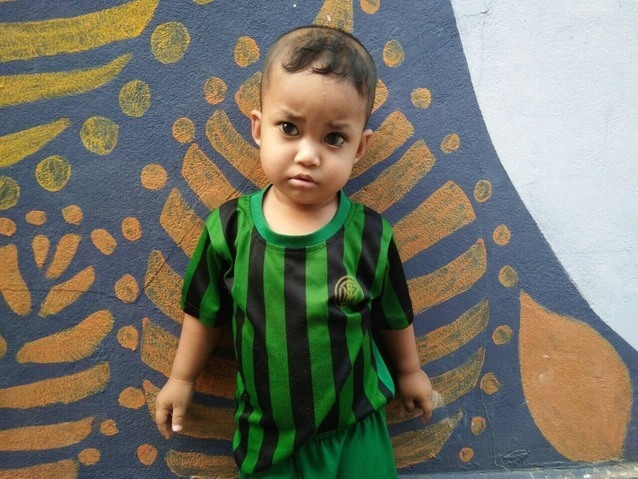 When he was one month old, Eh’s mother noticed his left eye was tearing up more than usual. At ten months old, both his pupils became white. Eh suffers from severe discomfort from bright lights and when the wind blows into his eye. Our medical partner, Burma Children Medical Fund, is requesting $1,500 to fund lens replacement surgery for Eh. On March 23, doctors will perform a lens replacement, during which they will remove Eh’s natural lenses and replace them with an intraocular lens implant in each eye. After recovery, he will be able to see clearly. Now, he needs help to fund this $1,500 procedure. 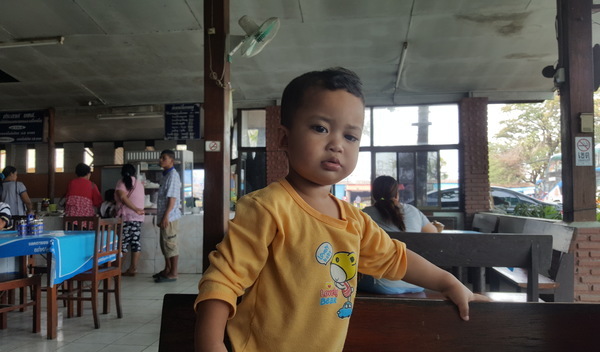 “I want him to become a medic as there are many patients in my village and I want him to return home to help them when he is grow up,” says his mother. Eh's case was submitted by Than Than Oo at Burma Children Medical Fund in Burma. Eh was submitted by Than Than Oo at Burma Children Medical Fund, our medical partner in Burma. Eh received treatment at Maharaj Nakorn Chiang Mai Hospital. Medical partners often provide care to patients accepted by Watsi before those patients are fully funded, operating under the guarantee that the cost of care will be paid for by donors. Patients may experience blurred or dim vision, shadows or blind spots in the field of vision, sensitivity to light and glare, and double vision. Reduced vision can result in social isolation, depression, increased risk of falling and accidents, and ultimately a greater tendency to be disabled. Without surgery, the patient will have no choice but to live with end-stage ocular disease, often resulting in blindness or pain. The healthcare system in Burma does not permit the average citizen to receive proper eye examinations. This lack of attention to ocular health is due to a variety of reasons. However, a low optometrist-to-population ratio and insufficient funds are the leading causes. Surgery will only be performed if the pressure in the eye is stable. The time it takes to stabilize the pressure in the eye depends on the severity of damage to the eye. The patient will regain his or her vision, though it may not be perfectly clear. Fortunately, the surgery prevents a complete loss of vision. Potential side effects include bleeding, infection, scarring, persistent swelling, wound separation, and the need to undergo additional surgery. Burma has 309 ophthalmologists and 150 eye nurses. Fewer than half of the ophthalmologists perform surgery, and almost two-thirds confine their practice to the cities of Yangon (with a population of about six million) and Mandalay (about three million), where many people have the financial capacity to meet high out-of-pocket healthcare expenses. Aside from these main facilities, there is roughly one ophthalmologist for every 500,000 people, and eye health screening and treatment for children and adults is neither comprehensive nor consistent. There are no alternatives. If left untreated, the patient will eventually lose his or her vision completely.